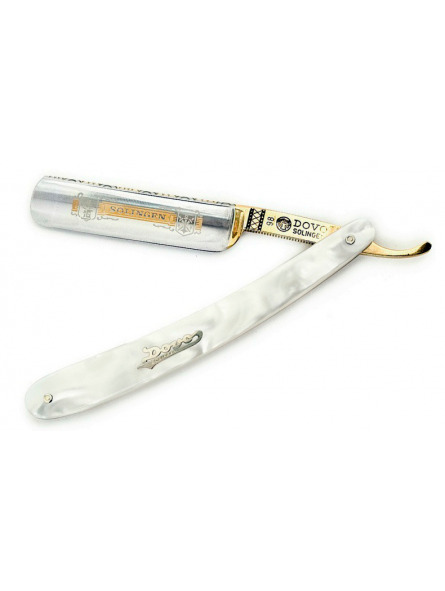 Home Shop by Category Straight Razors Dovo Straight Razors Dovo Straight Razor Mother of Pearl Imitation 5/8"
Dovo Straight Razor Mother of Pearl Imitation 5/8"
Dovo Straight Razor Mother of Pearl Imitation 5/8". This Dovo Straight Raozr is also known as "Pearlex". This is due to the exquisite mother of pearl shell imitation hanlde. Solingen trademark on the blade. "Shave Ready". 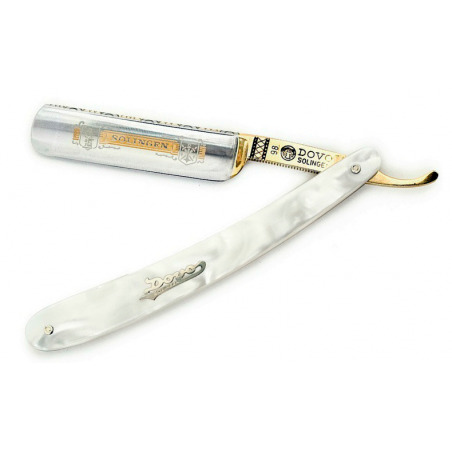 Straight razor has been honed by expert craftman form Solingen.